Abstract: This article examines Long Islanders involved in the East Asian trade during the mid- to late-nineteenth century through letters written to and from Smithtown brothers Jesse and Judson Blydenburgh. The Blydenburgh brothers left their small rural hometown to seek their fortunes on the other side of the world, a move facilitated by the prior presence of several Smithtown men in Asia and by the increased ease of trade with Japan and China. These letters reveal the economic opportunities available to ambitious men with access to New York City and its trade networks. They also demonstrate both the ways in which local history can illustrate national and global history and the personal realities behind an international trade that was of great importance to the emerging United States and its growth as a dominant world power. Editor’s note: throughout this manuscript, spelling and grammar from historical documents are kept in their original primary form. Smithtown remains the same sluggish, unaspiring and unimproving place that it has always been, we seem to have arrived at a goal beyond which we cannot advance, and that, however mortifying to acknowledge, is not much beyond the decencies of civilization…From your discription of the general aspect of your Country I think It would be quite pleasant to live there, but there is a kind of attachment to ones native place that seems to bind with indisoluble force; in my case it may be juvenile imbecility and ignoranc of the vast resources of wealth which the west offers to the adventurous emigrant, but if I live to outgrow the temidity [timidity] of youth, and the tender sencibilities of a homebred education, I to may seek my fortune in the fertile west with you, perhaps cross the rocky mountains and set down on the shores of the Pacific Ocean. From the viewpoint of at least one young man, early-nineteenth century Smithtown was the epitome of a backwater rural town with no real prospect of improvement. Aaron, already looking beyond the confines of Smithtown by the 1830s, eventually outgrew the “temedity of youth” sufficiently to seek his fortune not only on the Pacific coast, but in Asia. Aaron was one of a surprising number of young men from Smithtown who sought success in the risky (but often highly profitable) business of importing of tea and other commodities from East Asia, beginning in the 1850s. Aaron’s brothers Caleb Tangier and Ethelbert Marshall Smith seem to have been the first Smithtown residents to travel to Asia for this trade. Caleb, who was in China and Hong Kong by the late 1850s, established particularly strong ties to Asia. He was the Smith of Smith, Archer & Co., a firm that worked out of several ports in China and Japan as an affiliate of A. A. Low & Brothers, one of most prominent New York City trading firms engaged in business in East Asia. Before founding A.A. Low & Brothers in 1840, Abiel A. Low worked in Canton for Russell & Co., one of the leading American firms involved in the China trade by the 1820s. Therefore, Abiel Low brought to A.A. Low & Brothers significant experience and connections. Caleb also married a woman from Smithtown while abroad and his first two children were born in Hong Kong. Ethelbert worked for Smith, Archer & Co. before the Civil War and served as U.S. consul in Amoy, China, from 1861-1864. Other Smithtown men proceeded to take advantage of the connections Caleb and Ethelbert established, including Caleb’s brother-in-law Richard Bull Smith, who worked under him by 1859, and Richard’s brothers Elliott and Nathaniel. These men looked far beyond Smithtown to seek their fortune, and all spent at least some time abroad. However, they also took advantage of their location, utilizing the extensive trade networks of New York City while still remaining near their family and friends in Smithtown. Two other Smithtown men who took advantage of this link to Asia were brothers Jesse Smith and William Judson Blydenburgh, cousins of Caleb, who left behind a large collection of letters from the 1850s through the end of the nineteenth century. This correspondence, consisting mostly of letters between the brothers and their Smithtown business associates (especially Caleb and Richard), constitutes the primary source material for this article. Although this correspondence cannot necessarily provide a complete picture of their business operations, the letters reveal ample details of their business and personal lives over forty years, providing fascinating insight into the personal element of the East Asian trade. Because almost all of these letters were written either to or by Jesse or Judson (as William Judson was known), the article focuses on them. However, in becoming successfully involved in trade with East Asia, they took advantage of and relied upon their connections to their Smithtown associates, who had already been looking beyond Smithtown’s bucolic confines for several decades. Mid-nineteenth century trade with Asia was neither a major part of the American economy nor was it of much interest to most Americans, but its existence was nonetheless important to the United States both domestically and with regard to foreign policy. New York City was the center of that trade in the United States, offering great economic opportunities to ambitious men with access to the city. The lives of the Blydenburgh brothers demonstrate the realities behind these opportunities and illustrate a trade that helped lay the foundation for the U. S.’s growth as a dominant world power, revealing the connections between local, national and global history and the ways in which national and international history, as much as local history, can be understood through the lives of relatively unremarkable people. Jesse and Judson were born in Smithtown in 1832 and 1833 respectively as the eldest of the three sons of Richard Floyd and Elizabeth Blydenburgh. The Blydenburgh family came to Long Island when Joseph Blydenburgh, Richard Floyd’s great-great grandfather, moved from New York City to Brookhaven in about 1700, where he was listed as a merchant. Soon after, they moved to Smithtown. Thus the family inclination for involvement in trade of some kind emerged early, a trend that continued with Richard Floyd Blydenburgh’s father, Richard Blydenburgh III, who kept a country store. Another branch of the Blydenburgh family similarly pursued commercial ventures beyond farming. In 1799, Richard Blydenburgh III’s cousin Isaac Blydenburgh built the “new mill” in Smithtown with Caleb and Joshua Smith. The Blydenburghs alone owned the mill by the mid-nineteenth century and successfully operated it for well over a century, until 1924. Although Jesse and Judson’s contemporaries from this branch of the family did not venture abroad or even out of Smithtown, they similarly took advantage of new opportunities in the nineteenth century to move beyond an entirely agriculturally-based subsistence. Figure 1: The new mill complex, which during the nineteenth century was one of Central Suffolk’s most important industrial centers. Postcard, c. 1905. Courtesy of the Smithtown Historical Society. However, Smithtown during the nineteenth century, like most of Long Island, remained largely rural and agriculturally-oriented. The first U.S. Census in 1790 revealed 1,022 people in Smithtown, only increasing to 2,130 in 1860 and 5,863 in 1900. The Long Island Railroad only reached Smithtown in 1872 and the telegraph in 1880 (despite the completion of the transcontinental railroad in 1869 and the existence of telegraphic communication between China and the West by the 1870s). However, Smithtown was not just any small, agricultural town in nineteenth century America: it was within sixty miles of New York City, the largest city in the United States and the center of domestic and international trade. This proximity to New York City meant relatively little for eastern Long Island farmers early in the century, but the growth of New York into a great metropolis provided a much greater demand for agricultural produce and the completion of the railway line to Greenport in 1844 increased access to city markets. Improved transportation and contact with New York City also helped diversify the Long Island economy, providing new opportunities for rural entrepreneurs. Traditional mills, like the cloth mills in Smithtown, also did well. In keeping with the importance of water in the transport of both people and goods, shipbuilding was a substantial industry in nineteenth century Long Island, especially on the North Shore, and whaling, a very dangerous but highly profitable industry, brought millions of dollars to Long Island between the 1830s and 1860s. While industry and commerce did not replace farming as Long Island’s main occupation in the nineteenth-century, life on Long Island began changing significantly. In this dynamic environment, Jesse and Judson traveled with their parents and younger brother Richard Floyd, Jr., known as Floyd, to Michigan City, Indiana, in the 1830s. According to a plaque that once hung in the Jesse Smith Blydenburgh Memorial Room in the Caleb Smith II House in Smithtown, the family, “escorted by a troop of cavalry, traveled west to help found Michigan City.” It appears they intended to remain for at least a somewhat extended period of time, but in 1838 Elizabeth died, along with two twin infants, presumably in childbirth. By 1842, the three boys and their father had returned to New York and Jesse and Judson attended school in Connecticut. In 1850, the U.S. Census lists Jesse and Judson, ages 18 and 17, as clerks in New York City, likely working for their father, listed as an agent. Even as teenagers, the brothers had entered commerce and developed a viewpoint beyond the rural world of Smithtown. By the mid-1850s, Jesse and Judson, as middle-class white collar workers in New York City, were well-prepared to take full advantage of the opportunities New York City presented for the “middling sort,” such as businessmen, merchants and artisans. Both brothers at some point during this decade decided to engage in trade or industry outside of New York. It is impossible to know exactly what prompted their decisions, although perhaps the greater risk, and greater sense of unknown, added to the appeal and excitement of occupations different from those of their father or most others at the time. In any case, the underlying motivation was financial, “as we are all ambitious for gain.” However, although both brothers rejected locally- or regionally-oriented industries during this period, they initially pursued very different paths. Jesse evidently felt unsatisfied by the opportunities even in rapidly-growing New York City and, like many young men, traveled to California in 1852 and again in 1856. He returned to California in early 1857 and would not return to New York for thirteen years. Jesse engaged in mining while in California, although his letters suggest he was primarily involved with the development and improvement of machinery and technique. Jesse was rather vague in his description of his work, but he indicated that he required a great deal of water, so he almost certainly was engaged in some form of hydraulic mining, which used concentrated streams of water to blast away the earth in which the gold was trapped. He also focused on acquiring various means of concentrating sulfides, likely to assist in accessing gold trapped in quartz. All three brothers did indeed seek a change around this time. Floyd, who died in early 1866, dabbled with little success in a number of different industries, including coal and oil, while Judson became involved in trade with East Asia. However, Judson had in many ways an opposite reaction from that of Jesse to the situation they faced and through the mid-1860s was “settling down” in Brooklyn. He married, had a child, bought a house and continued working as a clerk. By at least 1864 Judson was a clerk with A.A. Low & Brothers, a job he obtained through Caleb’s influence. Judson not only did not share his brother’s desire to leave New York in the 1850s, but did not understand or support Jesse’s decision. Jesse had to frequently deflect pressure from Judson and their father for him to return home, to his growing frustration. Even their father’s emotional charged appeal that, “Judson…thinks it doubtfull [sic] whether I shall ever see you again,” failed to convince Jesse to return home. Jesse defended his decision, pointing out that he had capital invested in his enterprise and on June 18, 1857, he exasperatedly wrote Judson, “my dear fellow I must again refuse to yield to your pressing & earnest entreaties for my return I have endeavored to explain…my reasons, rest assured that as soon as circumstances will permit I shall once more be with you.” Either Jesse did not really mean this or he truly felt circumstances still prevented his return home, because after about two-and-a-half years in California, he roamed even farther away. Likely prompted at least in part by Caleb’s presence in Asia, Jesse arrived in Hong Kong in July of 1859, never to see either his father or Floyd again. 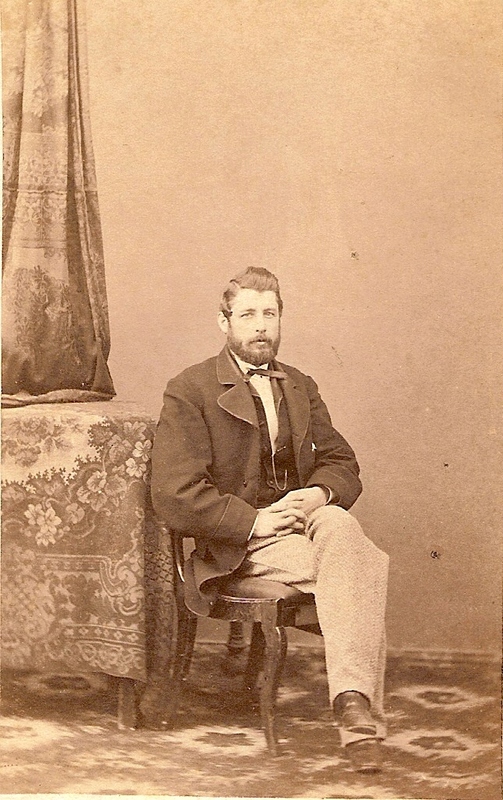 Jesse, who worked for Smith, Archer & Co. through 1867, spent most of the next four years in Canton, then an additional seven years in Japan, first in Yokohama then Hyogo. This move was consistent with an overall shift in trade with East Asia, as after the Civil War, American economic relations increasingly focused on Japan not China and Japanese tea eventually displaced Chinese tea in the American market. Although eighteenth-century British American colonists were avid tea consumers, they could not send their own ships to China. However, after the American Revolution, the new United States, which had idle ships from privateering and experienced sailors, was free to import its own tea and other Chinese goods. Merchants wasted no time and the Empress of China left New York harbor in early 1784 to become the first American ship to reach Chinese waters. The trade quickly took off and by 1790 ships sailed to China from Boston, Salem, Philadelphia, New York, Providence and Baltimore. By 1800, American trade at Canton was second only to the British. Figure 2: Jesse Smith Blydenburgh, c. 1862. Courtesy of the Smithtown Historical Society. However, the trading situation during those early years was significantly different from the one Jesse found upon his arrival. He would not have been allowed into Japan at all and although Canton was the one Chinese port open to the West prior to the 1840s, his activities there would have been much more restricted. However, the British government and merchants reaped huge profits smuggling opium into China and the Chinese government’s attempts to enforce its long-standing ban on opium importation resulted in the arrival of British forces and the First Opium War from 1839 to 1842. The concessions the British won included the opening of five ports to foreign trade and extraterritoriality, which allowed foreigners to govern themselves with immunity from local law enforcement. The United States remained officially neutral in the Opium Wars, but felt that the opening of China was desirable and shared in all the benefits, becoming a party to the “unequal treaties,” which the Chinese greatly resented. The young United States then proceeded to take a more active stance in Japan. A squadron led by Commodore Matthew Calbraith Perry, using a show of force but no actual violence, forced Japan in 1853 to discontinue its almost complete isolation from the world and allow trade to begin with the West. The culminating 1858 treaty contained many of the same provisions of the recently signed treaties with China, including opening six ports to commerce and extraterritoriality. The United States’ achievement of this without war in one of its first international displays of power represented a major diplomatic achievement. However, when Perry returned triumphantly from Japan, he found a country largely indifferent to the events in eastern Asia, as most Americans in the mid-nineteenth century favored isolationism, internal improvements and developments to the west over external expansion. William Henry Seward, prominent American statesman and an ardent advocate of expansion, represented one significant and influential exception to this tendency. He strongly supported strengthening American foreign trade, which he felt should replace military conquest. Although Seward’s view was not dominant, as Arthur Power Dudden argues, “His vision of empire…would shape American foreign policy for a century.” Moreover, Seward was convinced that the “conquest for world power…would be won or lost in Asia one day, after commerce had brought the hemispheres together.” The United States’ major expansionist actions occurred in the late nineteenth century, but the groundwork was laid earlier, in large part through commercial activities. Seward needed men like the Blydenburgh brothers to engage in commerce with Asia in order to bolster American economic power and to better establish an American presence around the world. The opening of China and Japan facilitated this trade, a development on which merchants like Jesse and Judson capitalized. 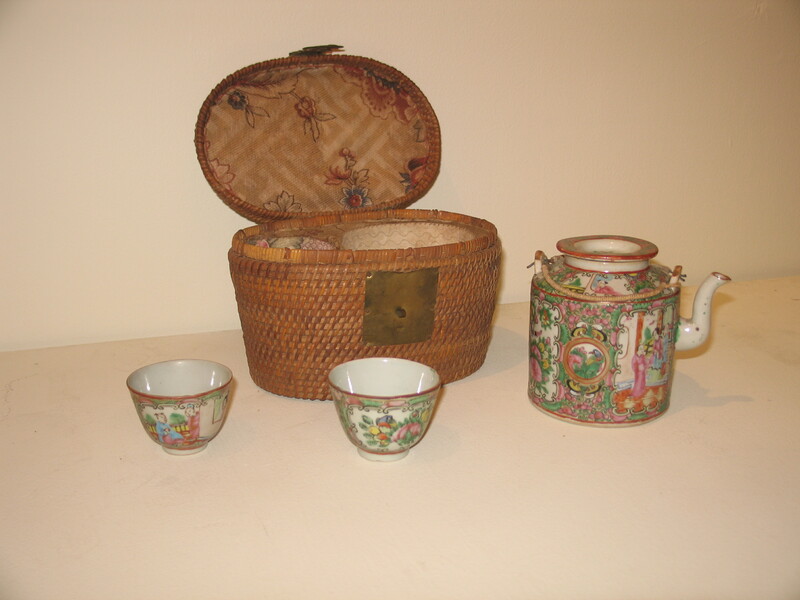 Even though most Americans remained largely unaware or uninterested in these international developments through the 1870s, they became avid customers for Chinese goods, including tea, silk, cinnamon and fire crackers. However, this trade was very competitive. As Richard Bull Smith wrote from Yokohama to Jesse in Hyogo, “We must be prepared for active Competition this season, Every body appears to have Tea on the brain & the Early arrivals are certain to fetch high prices.” Speed was indeed essential as Americans paid high prices for their fresh tea. The trip from East Asia to New York was shortened significantly, first by the development of clipper ships in the 1840s and then by the opening of the Suez Canal in 1869. However, there was still substantial risk that a commodity would no longer be in high demand when it arrived. The Blydenburgh brothers, astute merchants who imported goods both for their employers and their own personal ventures, imported primarily various types of tea, but also many other commodities, including raw silk, fire crackers, fishing poles and rice, depending on demand. Many of the letters between Jesse, Judson and their business associates discuss the fluctuating markets for different commodities. This high risk environment evidently did not deter the brothers, as any dissatisfaction they expressed was unrelated to difficulties predicting the market. Although Judson initially chose to remain in New York, he was well-placed for trade with East Asia, as he worked out of New York City, which had become the largest American city and seaport by 1825. During the 1810s and 1820s, the tea trade out of Providence, Salem, Boston, Philadelphia and Baltimore had decreased, leaving New York as the major American receiving port for Chinese goods. At the same time, New York made itself the center for trade from Europe, southern ports and the West. These and other factors, such as the establishment of regularly scheduled ocean liners, starting with the Black Ball packet line in 1818, helped New York consolidate its dominance as a port over the next several decades. Therefore, access to the City offered unique opportunities for involvement in international trade. Judson, through the mid-1860s, bridged the divide between global, national and local. He lived in Brooklyn while engaging in trade with East Asia, but went to Smithtown regularly and coordinated the transfer of money, and occasionally goods, from Caleb and Ethelbert in Asia to their parents and siblings in Hauppauge. When Judson’s wife gave birth to their second child, they sent their five-year-old daughter Bessie to stay with family in Smithtown. Moreover, Judson’s letters to his brother and cousins overseas from this time regularly discuss local Smithtown matters, indicating that they relied on Judson for news of home. However, Judson was not satisfied with remaining a clerk and liaison for others who seemed to be prospering so much more than him. 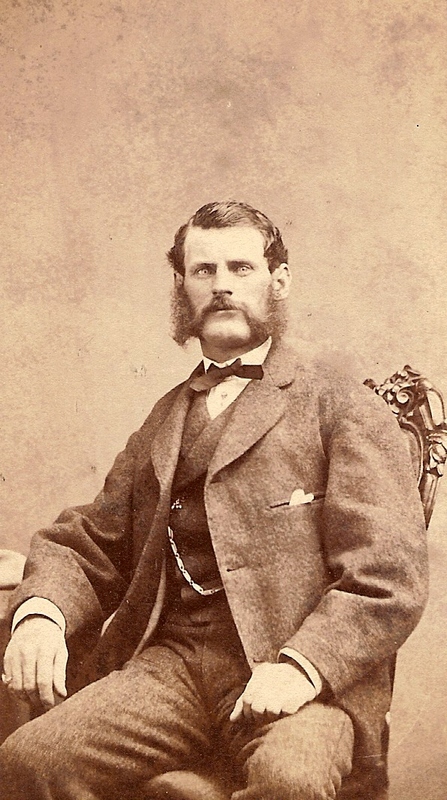 Figure 3: William Judson Blydenburgh, c. 1868. Courtesy of the Smithtown Historical Society. Jesse and Judson did not go into business together, in large part because economic circumstances made them wary of breaking away from established firms. As Jesse succinctly put it in January of 1866, “We are in a low of powerful concern.” And Judson wrote on December 26, 1865 that, “I have too little confidence in the future of the next one or two years to enter business unless under very favorable auspices as to capital, partners, trade &c. [etc].” Moreover, for the next several years Judson became more occupied with the illness and death of first Floyd, then his infant son and finally his wife, in May of 1867. By that point, Judson had been considering the possibility of traveling to Asia for several years. He wrote Caleb on June 21, 1864, that, “As I cannot look forward to material advancement here…I sometimes entertain a hope that they may some day send me abroad.” He seems to have felt that being in Asia offered better financial prospects, but was not entirely sure he wanted to leave the familiarity of home or his family. However, Judson’s concerns were evidently resolved, or at least outweighed by the potential financial gain, as he evidently had no objection to traveling to Asia in early 1868, leaving his young daughter behind. 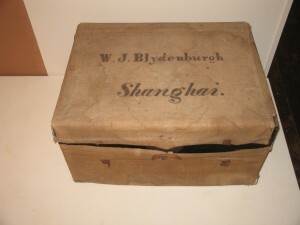 Figure 4: One of William Judson Blydenburgh’s Shanghai trade trunks, c. 1870. Labeled “No. 4.” Courtesy of the Smithtown Historical Society. Accordingly, between mid-1868 and the end of 1870, both brothers lived in East Asia, although they only rarely saw each other, as Judson opened a Smith, Archer & Co. branch in Shanghai, while Jesse lived primarily in Hyogo. Judson was joined in Shanghai by John Harvey Vail, a friend from Smithtown and Jesse’s future brother-in-law, and seems to have been content with his position. Moreover, for a time, Jesse’s dissatisfaction was resolved by leaving Smith, Archer & Co., in 1868, and forming Smith, Baker & Co. with Richard Bull Smith and two other colleagues. As they were modifying an existing company rather than starting an entirely new business enterprise, they avoided the economic problems the brothers had foreseen. During this period, both brothers were fully engaged in trade and there was little else in their lives, although they continued to write each other frequently, with much more ease of communication as it now only took their letters two or three weeks to arrive. They said little about the Chinese and Japanese cities they experienced and, at least in their letters to each other, seemed largely uninterested in learning more about the region, culture or people. It seems they did not view being in Asia as an opportunity for discovery or exploration, but only as a way to hopefully make more money than they could otherwise. This limited discussion of local affairs masks the significant domestic turmoil in China and Japan during the 1850s and 1860s, which resulted in large part from the incursions of western powers. The Taiping Rebellion in China, which lasted from 1851 to 1864, caused the death of twenty to thirty million people, devastated the economy in coastal provinces and led to a major decline in foreign trade. Even more drastically, the reaction in Japan to the treaties, especially the extraterritoriality provision, culminated in the Meiji restoration. The Shogun, who controlled political and military matters, was already vulnerable when Perry arrived in 1853. His submission to American demands was seen as proof of his weakness and those who opposed the treaty sought the restoration of the emperor, who had not exercised his authority in a long time. The Shogun resigned in November of 1867, putting all authority with the new young Emperor and unifying the government. I am sorry the leaves have not been as nicely pressed or preserved as they might have been by any one else but a Country Chinaman – We had to send away back in the country for them however through our old Compradors, as ‘treaty rights’ do not extend so far as to permit one of us barbarians to go into the tea districts all of which happen to be beyond the ‘30 mile radius’ restriction. Clearly, Judson felt that the rights and privileges obtained through the treaties with China were insufficient and saw no reason why western traders should not be accorded full and complete access to the country. He was likely not alone in his views. In general, the Smithtown men only mentioned local affairs that directly affected their lives or business. Richard Bull Smith wrote to Jesse on May 14, 1870, that, “Business here is quite suspended owing to a big matsuri [festival] w’h [which]…is to last three days.” Richard does not seem to have cared about the festival, but its detrimental effect on business warranted comment. Of greater importance to merchants was the outbreak of war between France and Prussia which, as Judson wrote to Jesse on August 11, 1870, “is very exciting here & paralyzes some kinds of trade – Silk in particular.” On August 22, 1870, Richard also reported to Jesse that “business in Silk is entirely suspended & Exchange is down.” This conflict ended fairly quickly, with France’s surrender in January of 1871, but clearly disrupted trade significantly. Another Smithtown resident who travelled to Asia illustrates both the strong allure of East Asia and the importance of connections from home to success abroad. Wentworth Vail Gould, Jesse and Judson’s second cousin, traveled to Asia in 1868 with no connection to a trading firm. Wentworth presumably had heard many stories of the success of Smithtown men in Asia, as Caleb, Aaron and Ethelbert Smith were also his second cousins and John Vail was his first cousin. His mother, Cordelia, wrote to Jesse of her son, “who has talk’d long of going to that far off land Japan.” She noted that Wentworth “goes to seek his fortune,” and asked Jesse to help her son, “a stranger in a strange land – unacquainted with its names and customs and business ways,” as Jesse had been there many years and was “as familiar with business there as you were here.” Cordelia emphasized that “he is my baby – just 20 years of age.” Wentworth had already left for Asia when Jesse received the letter and it is unknown exactly how Jesse felt about this letter, but he probably felt a degree of irritation. Although family connections certainly aided Judson and Jesse’s involvement in trade with Asia, Judson waited to go overseas until his firm sent him, and Jesse had an established position before he left the United States. In contrast, Wentworth evidently found the appeal of East Asia so strong that he was willing to travel to the other side of the world relying entirely on family connections to help him get situated once there. Wentworth also differed significantly from Judson and Jesse in that he apparently lacked any relevant experience even as a clerk, while the Blydenburgh brothers already had several years of clerk experience at Wentworth’s age. Wentworth eventually found a position with Smith, Baker & Co., but it seems safe to assume that without Jesse and Judson’s assistance he would have unable to obtain employment in Asia. Wentworth’s story underscores the links between global and local history by demonstrating the vital importance of local connections even for those operating on a global scale. International trade was comprised of individuals whose success depended upon their connections, which often derived from their place of origin. Therefore, ignoring the local dimension of global commerce hides a key aspect of that trade. The rapid growth and change of nineteenth century America continued in the last few decades of the century. Between 1860 and 1920, the American population increased from 31 to 105 million, while the population of cities increased from 6 to 54 million. 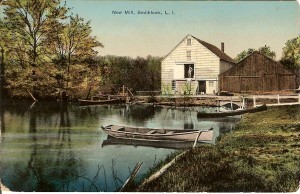 During this period, Long Island witnessed the emergence of many large summer retreats and resorts, as well as an influx of tourists, putting Long Island on the map and giving the North Shore its nickname “the Gold Coast.” However, despite these factors and the huge growth of Brooklyn and Manhattan, Long Island’s overall population increased slowly in the late nineteenth century, with limited manufacturing and few large industrial plants. Most of Suffolk and the part of Queens that became Nassau remained mostly rural and agricultural through the end of the century. At the same time, the United States became increasingly involved in the world, culminating in 1898 with the annexation of Hawaii and the acquisition of the Guam, Puerto Rico and the Philippines from Spain after the Spanish American War. However, despite the earlier lack of interest in overseas expansion and strong aversion to the United States behaving as a colonial power, as K. Jack Bauer argues, “Although the United States focused inward, it did not and could not totally abandon foreign contacts, nor could it allow them to pass entirely into the hands of its trading partners.” Therefore, while official American global involvement during most of the nineteenth century remained limited, the United States maintained its links with the world predominately through commerce. Eventually, however, more Americans began favoring expansion and more enterprising individuals joined Judson and Jesse, looking beyond the boundaries of the United States. As Jesse prepared to depart Asia, the brothers intended to eventually go into business together in New York. However, Judson told Jesse on June 29, 1870, “I should not like to join you in your new pursuits unless I have something to add to the funds you are likely to invest.” Judson’s money prospects improved the following year, although, “it wont make me rich, or give me any thing like as much as you [Jesse] have.” He complained that, “The China trade is not what it was.” Judson did return briefly to New York at some point between the end of 1871 and the end of 1872. While there, he re-married and then returned to Asia with Bessie and his new wife. Although the Blydenburgh brothers remained largely preoccupied with their own business affairs rather than with the domestic and global changes occurring around them, these events eventually began to affect their business and the nature of trade with Asia was changing. Judson informed Mr. Low on September 11, 1873 that, “The way of doing business here is still changing towards the abandonment of the ‘Hong’ system.” He went on to assert that, “Success in China is far less easy of attainment now than it was in their [Caleb and Ethelbert’s] time,” additionally attributing his own lack of success to the “generally adverse circumstances throughout my whole career in China thus far.” Judson, unlike his brother and cousins, failed to find his time in Asia particularly profitable. This may have been due in part to bad luck and later arrival in Asia, but it was also true that, as Judson informed A.A. Low in 1873, quick communication and rapid transportation were “Elements which are fast equalizing all the markets of the world.” The very factors that decreased the risk of this trade, making it easier and more accessible, limited the advantages of the older, established trading firms and lowered prices by flooding the markets. At the same time, the fallout from western actions in China and Japan persisted. During the 1870s and 1880s, Japan rapidly and fully modernized, while struggling diplomatically against the unequal treaties the West had imposed. Japan also negotiated its own treaty with China in 1871. This formalized commercial relations and friendship, but also marked the start of Japan’s western-inspired imperialistic expansion at China’s expense, to which few Americans objected to before 1895. Circumstances also continued changing for the Blydenburgh brothers during these years, and not generally for the better. Beginning in July 1873, many of Judson’s letters concerned the possible withdrawal of Smith, Archer & Co. from Shanghai, as well as from Hong Kong, Canton and Yokohama. By November, A.A. Low & Brothers had decided to close the establishment at Shanghai and transfer it to Russell & Co., another leading trading firm. still out of business, living in the county; but coming to town once or twice a week…There are as you say many opportunities in this country for making a living and indeed for getting on the road to fortune, but just now…it is difficult to see the way out of my present danger of discouragement…I do not wish to harbor any unkind feeling towards the senior in Burling slip [most likely referring to A.A. Low], but he undoubtedly has behaved in a strange way towards us all –I hope the day may come when he will be satisfied that his judgment towards some of us has been harsh and severe. Evidently, the once positive business relationship between Judson and his employers had deteriorated. Seven years earlier Judson could not say enough good things about his employers, but now he was barely containing his “unkind feelings.” Judson was most likely not particularly active in trade or anything else after his return to New York. In addition to his severing of ties with A.A. Low & Brothers, Judson “returned from China…with a ruined constitution, and had…vainly struggled to re-establish his health” until his death in early 1878. Figure: 5: Tea set brought back from Asia by one of the Blydenburgh brothers. Courtesy of the Smithtown Historical Society. I write to invoke your sympathy and your counsel. I have got so much behind…in my business that I am enforced to liquidate…I shall be obliged to sell everything notwithstanding the hard times and the actual realization may be much less than I hope. Jesse’s other letters from this period deal primarily with attempting to rectify the situation. These problems were perhaps not unexpected, given the factors discussed above and the recession in the 1870s. However, Jesse managed to recover financially, perhaps aided by the demand for Asian goods that developed into an Orientalist craze from the 1870s to the turn of the century. Jesse continued to engage in trade with Asia to at least some extent through the 1890s. He initially lived in New York City, but by the early 1890s had settled in Smithtown Branch, where he remained until his death in 1900. According to the plaque in Jesse’s memorial room, he was a vestryman and treasurer of St. James Church. Thus, Jesse ended his life fully involved in local community affairs, in stark contrast to his earlier rejection of local concerns. In sum, Jesse’s life and outlook extended far beyond the borders of his hometown. He spent part of his childhood in the Midwest, traveled to California several times, spent thirteen straight years away from New York, including more than ten in Asia, and spent the majority of his adult life trading with East Asia. And yet he ended his life as he began it, in a small rural town on Long Island. The story of his life tracks momentous changes in New York, the United States and East Asia, but he is, for the most part, only remembered by those who study local history. Aaron Smith’s disparaging and glum description of Smithtown, which began this article, indicates that even in the 1830s, some young Smithtown men had begun to look beyond the confines of their rural community. Aaron and his brothers took advantage of the opportunities New York City offered to break away from “sluggish” Smithtown, starting a trend a number of others would follow. While Jesse and Judson were in many ways ordinary businessmen, their experiences in nineteenth century global commerce reveal a more unusual path to business success. At a time when most Americans focused domestically, they saw the potential of a more outward-looking focus and provided a direct link between rural Long Island and exotic and far-away lands in Asia. Moreover, Jesse and Judson’s story links together some of the major trends of nineteenth-century American and New York history. Like many young people, they rejected an entirely agricultural-oriented life, but took advantage of their location to engage in an international trade that was vital to growing American world power. They also worked out of New York, a major center of national and international commerce and the biggest American city at a time of massive urban growth across the country. Jesse and Judson, along with their friends and cousins from Smithtown, came from prominent, but locally-based families in a small, rural community. However, they took full advantage of the changes and new opportunities of the nineteenth century and through their lives it is possible to see the ways in which local, regional, national and global trends intersect. Studies of either U. S. -East Asian trade or American foreign policy tend to focus on the major political players and trading firms. At the same time, local historians can sometime myopically examine local business figures without extending consideration of how their actions were part of a story of global dimensions. Ultimately, both of these approaches are incomplete. A richer understanding of Jesse and Judson’s lives is impossible without the context of the rapidly changing domestic and global circumstances of the mid- to late nineteenth-century. At the same time large trading firms relied on men willing to spend years away from home in order to realize their profits and expansionists like Seward required such men in order to establish American commerce. Moreover, the lives of the Blydenburgh brothers offer an invaluable human element to the study of this trade and its place in American and New York history. Thus the local, national, and global dimensions of this story are inextricably connected, and provide a deeper understanding of the operation and impact of East Asian trade in America’s nineteenth-century global economy. I would like to thank the Smithtown Historical Society for allowing the use of their collections and for their assistance in making this article possible. Aaron Smith to Elizabeth Smith Blydenburgh, 23 September 1837, Blydenburgh Family Papers, Smithtown Historical Society (Smithtown, New York). As far as can be discerned from the documents used for this article, these men imported goods from various ports in China and Japan, as well as from Hong Kong. “East Asia” is used here for ease of reading. Ernest R. May and John K. Fairbank, eds., America’s China Trade in Historical Perspective: The Chinese and American Performance (Cambridge, Massachusetts: Harvard University Press, 1986), 19; Robert Greenhalgh Albion, The Rise of New York Port (1815-1860), with Jennie Barnes Pope (New York: Charles Scribner’s Sons, 1939), 201, 248. Frederick Kinsman Smith, The Family of Richard Smith of Smithtown, Long Island: Ten Generations (Smithtown, New York: The Smithtown Historical Society, 1967), 478. Caleb Tangier Smith married Mary Augusta Smith, daughter of Edward Henry and Elizabeth Cartaret Smith. Ibid., 59. Elizabeth Blydenburgh was Aaron Smith’s aunt. Charlotte Adams Ganz, ed., Colonel Rockwell’s Scrap-book: Short Histories, Dwelling, Mills, Churches, Taverns, 1665-1845 (The Smithtown Historical Society, 1968), 100. Long Island, Our Story: The Celebrated Series, written and edited by the staff of Newsday (Melville, New York: Newsday, Inc., 1998), 201, 252. Gish, Smithtown, New York, 1660-1929, 32. Long Island, Our Story, 194; Robert B. MacKay, Geoffrey L. Rossano and Carol A. Traynor, eds., Between Ocean and Empire: An Illustrated History of Long Island (Northridge, California: Windsor Publications, Inc., 1985), 68. MacKay, Rossano and Traynor, eds., Between Ocean and Empire, 86; Long Island, Our Story, 168-169; Bernie Bookbinder, Long Island: People and Places, Past and Present, updated ed. (New York: Harry N. Abrams, Inc., 1998), 96. Typescript of inscription for plaque in the Jesse Smith Blydenburgh Memorial Room, Jesse Smith Blydenburgh Papers, 1856-1900, CO390, 1:2, Princeton University Library’s Manuscripts Division (hereafter cited as Jesse Blydenburgh Papers, Princeton University). Census Office, Seventh Census, 1850, New York Ward 18, New York, New York, roll M432_557, p. 88A, image 182, s.v. “Richard Blydenburgh,” Ancestry Library Edition, Ancestrylibrary.com (accessed 22 August 2011). Steven M. Gillon and Cathy D. Matson, The American Experiment: A History of the United States (Boston: Houghton Mifflin Company, 2002), 410. William Judson Blydenburgh to Caleb Tangier Smith, 21 May 1864, William J. Blydenburgh Records. Baker Library Historical Collections, Harvard Business School, vol.1. Jesse Blydenburgh to Judson Blydenburgh, 17 September 1857, Blydenburgh Family Papers, Jesse Smith Blydenburgh File, Smithtown Historical Society (Smithtown, New York) (hereafter cited as Blydenburgh Family Papers, Jesse Blydenburgh File, Smithtown Historical Society); H. W. Brands, The Age of Gold: The California Gold Rush and the New American Dream (New York: Doubleday, 2002), 227-228, 234. Jesse Smith Blydenburgh to Judson Blydenburgh, 14 February 1857, Jesse Blydenburgh Papers, Princeton University, 1:3. Jesse Blydenburgh to Richard Floyd Blydenburgh, Jr., 16 June 1857, Jesse Blydenburgh Papers, Princeton University, 1:3. Judson Blydenburgh to Caleb Smith, 9 November 1865, Blydenburgh Family Papers, William Judson Blydenburgh File, Smithtown Historical Society (Smithtown, New York) (hereafter cited as Blydenburgh Family Papers, Judson Blydenburgh File, Smithtown Historical Society). Richard Floyd Blydenburgh to Jesse Blydenburgh, 5 June 1857, Jesse Blydenburgh Papers, Princeton University, 1:1. Jesse Blydenburgh to Richard Floyd Blydenburgh, Jr., 16 June 1857 and to Judson Blydenburgh, 18 June 1857, Jesse Blydenburgh Papers, Princeton University, 1:3. Jesse Smith Blydenburgh, ledger 18 July 1859, Jesse Blydenburgh Papers, Princeton University, 4:4. May and Fairbank, eds., America’s China Trade in Historical Perspective, 17; Jean Heffer, The United States and the Pacific: History of a Frontier, trans. W. Donald Wilson (Notre Dame, Indiana: University of Notre Dame Press, 2002), 125. May and Fairbank, eds., America’s China Trade in Historical Perspective, 12, 27; Arthur Power Dudden, The American Pacific: From the Old China Trade to the Present (New York: Oxford University Press, 1992), 4. In addition to paying a number of fees and customs, foreign traders had to spend summers in Macao and, although they could spend the trading season at Canton they had to live in a specified area, could not have women with them and could not go into the country or the city. Peter Ward Fay, The Opium War, 1840-1842: Barbarians in the Celestial Empire in the Early Part of the Nineteenth Century and the War by Which They Forced Her Gates Ajar (Chapel Hill, N.C.: The University of North Carolina Press, 1975), 34-35. After the First Opium War, China agreed to all demands except for legalizing opium. This left the opium issue unresolved, which ultimately resulted in further conflict between 1856 and 1860. The opium trade was legalized in 1858. Dudden, American Pacific, 8, 115; Fay, Opium War, 1840-1842, 42; W. Travis Hanes III and Frank Sanello, The Opium Wars: The Addiction of One Empire and the Corruption of Another (Naperville, Illinois: Sourcebooks, Inc., 2002), 163. Fay, Opium War, 1840-1842, 337-338. Dudden, American Pacific, 8. In 1639, the Japanese expelled all Europeans and prevented the Japanese people from leaving. The one exception was the Dutch, who were allowed to maintain minimal trade on a tiny artificial island in the port of Nagasaki. Beatrice Hohenegger, Liquid Jade: The Story of Tea from East to West (New York: St. Martin’s Press, 2006), 66; William Hosley, The Japan Idea: Art and Life in Victorian America, volume published in conjunction with The Japan Idea, shown at Wadsworth Atheneum (Hartford, Connecticut: Wadsworth Atheneum, 1990), 17. The first treaty the United States signed in 1854 included no guarantee for trade. However, Japan feared the recent fate of China at the hands of the British and a second treaty signed in 1858 allowed freedom of trade and the opening of more ports. Dudden, American Pacific, 19, 136-137; Hosley, Japan Idea, 27. A.B.C. Whipple, The Clipper Ships, with the eds. of Time-Life Books (Time-life books, Alexandria, VA, 1980), 24. Richard Bull Smith to Jesse Blydenburgh, 2 May 1870, Blydenburgh Family Papers, Jesse Blydenburgh File, Smithtown Historical Society. Hohenegger, Liquid Jade, 173; Whipple, Clipper Ships, 22. Mona Domosh, “Shaping the Commercial City: Retail Districts in Nineteenth-Century New York and Boston,” Annals of the Association of American Geographers 80, no. 2 (1990): 269-270; May and Fairbank, eds., America’s China Trade in Historical Perspective, 27; Albion, The Rise of New York Port, 10, 13; Alfred H. Tamarin and Shirley Glubok, Voyaging to Cathay: Americans in the China Trade (New York: Viking Press, 1976), 143. Christopher Clark, Social Change in America: From the Revolution through the Civil War (Chicago: Ivan R. Dee, 2006), 284-5, 287. Jesse Blydenburgh to Judson Blydenburgh, 18 January 1865, Jesse Blydenburgh Papers, Princeton University, 3:3. William Judson Blydenburgh to Caleb Tangier Smith, 22 February 1867, Blydenburgh Family Papers, Judson Blydenburgh File, Smithtown Historical Society. Judson Blydenburgh to Caleb Smith, 21 June 1864 and 22 July 1864, William J. Blydenburgh Records. Baker Library Historical Collections, Harvard Business School., vol. 1. Judson Blydenburgh to Caleb Smith, 9 November 1865, Blydenburgh Family Papers, Judson Blydenburgh File, Smithtown Historical Society. Judson Blydenburgh to Jesse Blydenburgh, 8 November 1865, Blydenburgh Family Papers, Judson Blydenburgh File, Smithtown Historical Society. Jesse Blydenburgh to Judson Blydenburgh, 30 January 1866, Jesse Blydenburgh Papers, Princeton University, 3:4. Judson Blydenburgh to Jesse Blydenburgh, 23 April 1866, Blydenburgh Family Papers, Judson Blydenburgh File, Smithtown Historical Society. Judson Blydenburgh to Jesse Blydenburgh, 9 February 1866, Blydenburgh Family Papers, Judson Blydenburgh File, Smithtown Historical Society. Judson Blydenburgh to Jesse Blydenburgh, 26 December 1865, Blydenburgh Family Papers, Judson Blydenburgh File, Smithtown Historical Society. Judson Blydenburgh to Caleb Smith, 21 June 1864, William J. Blydenburgh Records. Baker Library Historical Collections, Harvard Business School, vol. 1. Newspaper notice, 17 January 1868, Jesse Blydenburgh Papers, Princeton University, 2:3. Hanes and Sanello, Opium Wars, 167-73; May and Fairbank, eds., America’s China Trade in Historical Perspective, 104. Peter Booth Wiley, Yankees in the Land of the Gods: Commodore Perry and the Opening of Japan (New York: Penguin Books, 1990), 480; Hosley, Japan Idea, 18, 20, 27-28. Jesse Blydenburgh to John Caswell & Co., 5 December 1867, Jesse Blydenburgh Papers, Princeton University, 3:4. Judson Blydenburgh to Jesse Blydenburgh, 18 June 1868, Blydenburgh Family Papers, Judson Blydenburgh File, Smithtown Historical Society. Dudden, American Pacific, 136-137, 139. Judson Blydenburgh to Mr. Perry (a business associate), 11 August 1871, William J. Blydenburgh Records. Baker Library Historical Collections, Harvard Business School, vol. 2. Richard Smith to Jesse Blydenburgh, May 14, 1870, Blydenburgh Family Papers, Jesse Blydenburgh File, Smithtown Historical Society. Judson Blydenburgh to Jesse Blydenburgh, 11 August 1870, William J. Blydenburgh Records. Baker Library Historical Collections, Harvard Business School, vol. 2. Richard Smith to Jesse Blydenburgh, 22 August 1870, Blydenburgh Family Papers, Jesse Blydenburgh File, Smithtown Historical Society. Sarah Cordelia (Vail) Gould to Jesse Blydenburgh, late April or early May 1868, Blydenburgh Family Papers, Jesse Blydenburgh File, Smithtown Historical Society. Gillon and Matson, American Experiment, 728. MacKay, Rossano and Traynor, eds., Between Ocean and Empire, 115, 126; Richard P. Harmond, “Long Island as America,” Long Island Historical Journal 1, No. 1 (1988): 9; Bookbinder, Long Island, 126. K. Jack Bauer, A Maritime History of the United States: The Role of America’s Seas and Waterways (Columbia, South Carolina: University of South Carolina Press, 1988), 244. Heffer, United States and the Pacific, 191. Judson Blydenburgh to Josephine Mary Vail, 8 May 1871, William J. Blydenburgh Records. Baker Library Historical Collections, Harvard Business School, vol. 2. Judson Blydenburgh to Joseph Otis Averill, 12 January 1870, William J. Blydenburgh Records. Baker Library Historical Collections, Harvard Business School, vol. 2. Judson Blydenburgh to Jesse Blydenburgh, 29 June 1870, William J. Blydenburgh Records. Baker Library Historical Collections, Harvard Business School, vol. 2. Judson Blydenburgh to Jesse Blydenburgh, 9 May, 1871, William J. Blydenburgh Records. Baker Library Historical Collections, Harvard Business School, vol. 2. Judson Blydenburgh to Mr. Low (probably Josiah O. Low, one of the Low Brothers of A.A. Low & Brothers), 11 September 1873, William J. Blydenburgh Records. Baker Library Historical Collections, Harvard Business School, vol. 3. Judson Blydenburgh to Abiel A. Low, 26 July 1873, William J. Blydenburgh Records. Baker Library Historical Collections, Harvard Business School, vol. 3. Even after an already weakened China suffered a devastating defeat in the Sino-Japanese War of 1894-1895, many Americans saw this victory as “evidence of Japan’s enlightened progress”. Dudden, American Pacific, 140, 142-143. See for example Judson Blydenburgh to Abiel A. Low, 26 July 1873, to Josiah O. Low, 9 September 1873, to A.A. Low & Brothers 10 September 1873 and to Mr. Low (probably Josiah O. Low), 11 September 1873, William J. Blydenburgh Papers, Baker Library Historical Collections, Harvard Business School, vol. 3. Judson Blydenburgh to Josiah O. Low 26 November 1873, William J. Blydenburgh Records. Baker Library Historical Collections, Harvard Business School, vol. 3. Judson Blydenburgh to Mr. Taylor (a business associate) 5 November 1874, William J. Blydenburgh Records. Baker Library Historical Collections, Harvard Business School, vol. 3. Judson was not the first former A.A. Low & Brothers employee to feel wronged by them. Shortly after forming Smith, Baker & Co., Richard Smith wrote Jesse that, “A.A. Lows letter, which I return to you enclosed herein, didn’t surprise me at all on reading it as I am sure he will do all he can to injure our prospects, he has no conscience.” Richard Smith to Jesse Blydenburgh, 21 January 1868, Jesse Blydenburgh Papers, Princeton University, 2:3. Jesse Blydenburgh to Hoffman Atkinson, 6 May 1878, Blydenburgh Family Papers, Jesse Blydenburgh File, Smithtown Historical Society. Jesse Blydenburgh to Richard Smith, 26 March 1879, Jesse Blydenburgh Papers, Princeton University, 6:1. Kristin Hoganson, “Cosmopolitan Domesticity: Importing the American Dream, 1865-1920,” The American Historical Review 107, No. 1 (2002): 62. Typescript of inscription for plaque in the Jesse Smith Blydenburgh Memorial Room, Jesse Blydenburgh Papers, Princeton University, 1:2.